All this ice-cold gloomy-grey winter weather made for some poor photo-taking lighting over the past few weeks, so I’m happy I got a patch of sunlight this weekend to photograph some of my bedroom edits. I’m ecstatic over the Dwell Studio Draper bedding I got from my birthday (do I have an awesome boyfriend or what?) — it is as cozy as it is pretty. Blogging about it, talking about, and leaving the catalog open on the coffee table with hearts drawn around it seemed to have worked! Plus I added some new Euro pillows made out of Alexander Henry fabric that I picked up at Grey’s Fabric and Notions in the South End (note to crafty Bostonians, go check it out, it’s fabulous!) I’m so obsessed with this fabric that I’m considering making more pillows out of it for the living room too. It’s all in the packaging. Mentions. 15 Responses to "Bedroom revamp." Love it! 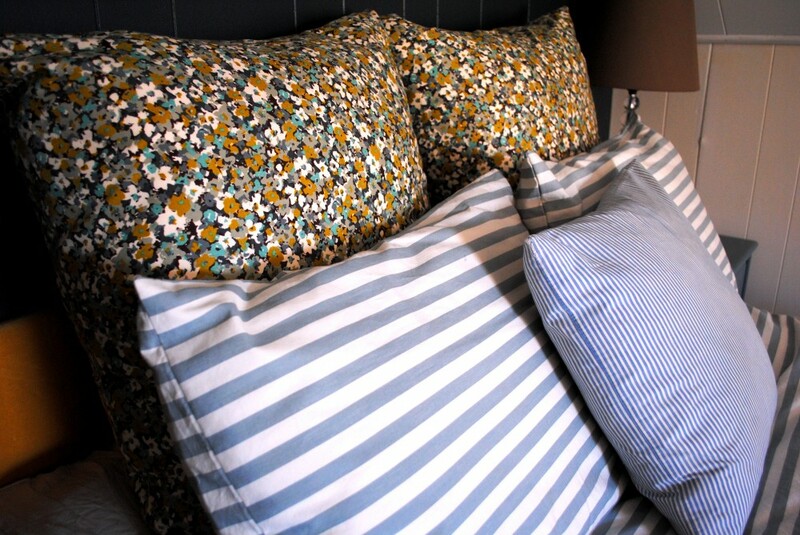 The bedding is the perfect mix with stripes and floral. And I love the color of your headboard wall! Cozzzzzzy! Those euros turned out cute! LOVELY! I adore the colors in your bedroom. 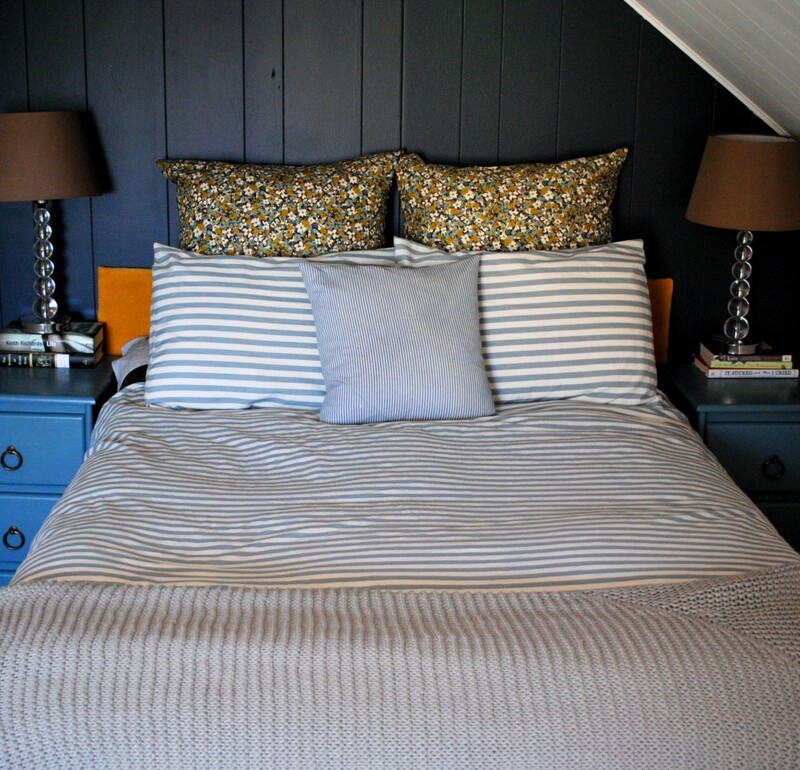 I just ordered Dwell bedding a few months ago for my little bedroom re-vamp…isn’t is just great? Love it! The bedding does look great, and I love the wall color and the fabric you chose for the euro pillows. Great job! How cute, you are giving me a plethora of ideas for my new house. I’m loving your birthday bedding plus that punch of orange is to die for!! I really love the stripes and the floral mixed together. That really is a great print! No problem. Keep me updated! 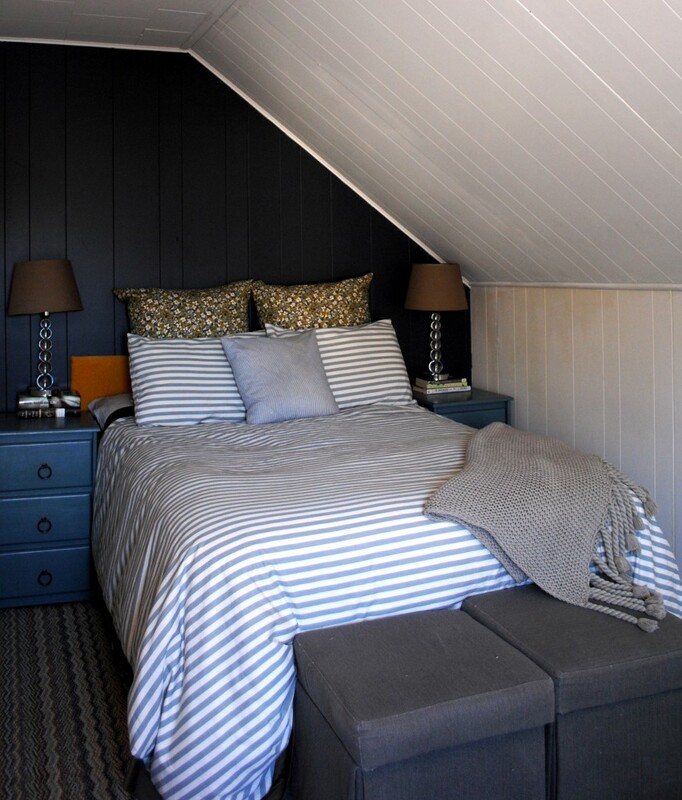 Such a Cozy & Stylish nook you’ve created! chic and hipster all at once? thats like the nicest compliment ever! it looks really great. we have been attempting to finish our master as well and it has been so tricky making it just right without spending a fortune. i really love what you have done, and that dwell bedding has been my husband’s vote for us all along.